Lillian S. Kamino, 62, of 16 Lyndon Road and Delray, Beach, Fla., died Sunday at West Palm Beach. 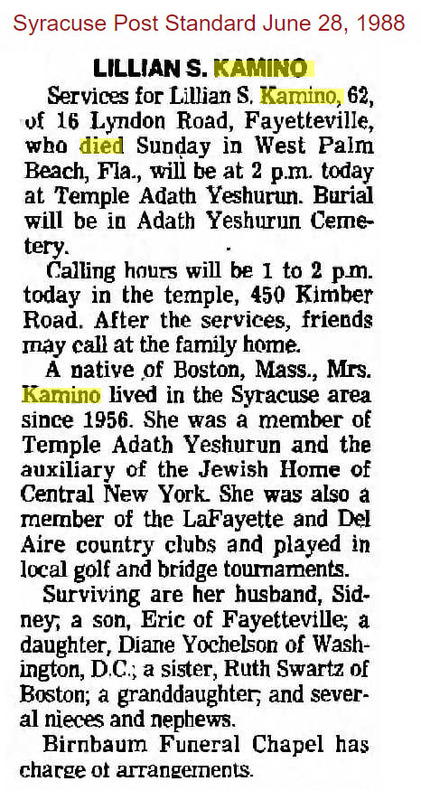 She was born and educated in Boston, Mass, and had been a resident of the Syracuse area since 1956. 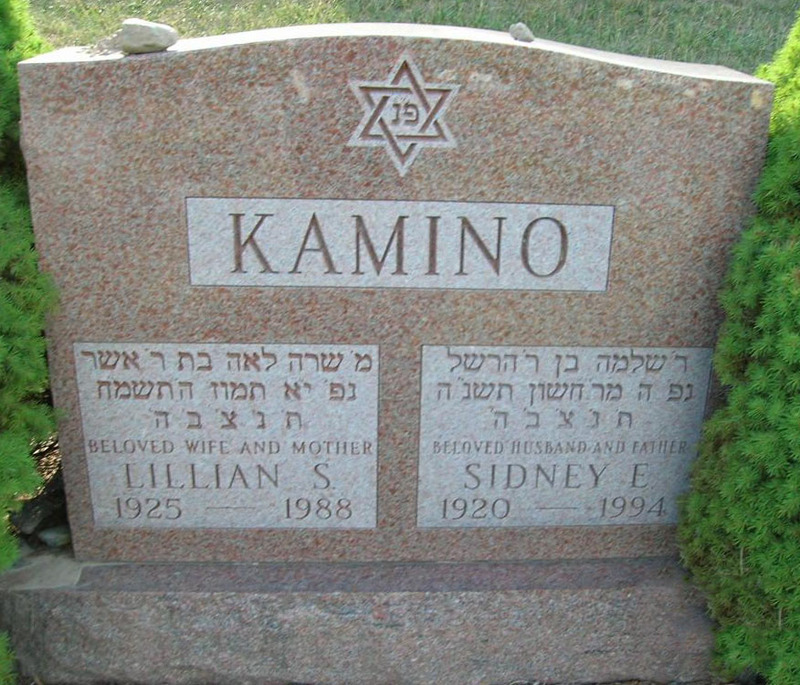 She played an active role in Jewish affairs and was a member of Temple Adath Yeshurun, the auxiliary of the Jewish Home of Central New York, and numerous philanthropic organizations. She was also a member of LaFayette and Del Aire Country Clubs and played golf and bridge tournaments at a local level. She was interested in the fields of interior design and decorative arts. She is survived by her husband, Sydney, one of the founders of Family Bargain Centers of Upstate New York; a son Eric of Fayetteville; a daughter Diane Yochelson of Washington, D.C.; a sister, Ruth Swartz of Boston; a granddaughter, and several nieces and nephews. Services will be at 2 p.m. Tuesday at Temple Adath Yeshurun, Rabbi Charles S. Sherman and Cantor Harold Lerner officiating. Burial will be in Adath Yeshurun Cemetery.